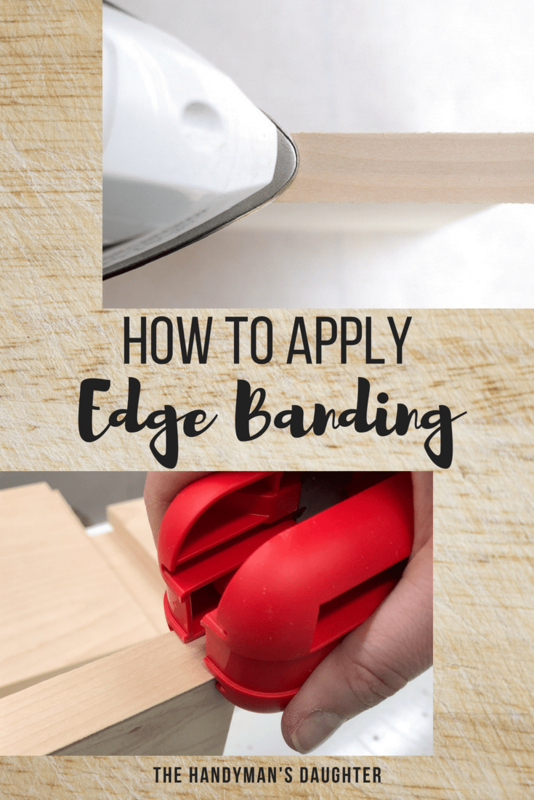 Edge banding is a simple way to hide exposed plywood edges. When done properly, it looks like a solid piece of wood! Here are my tricks and tips for getting a professionally finished look. 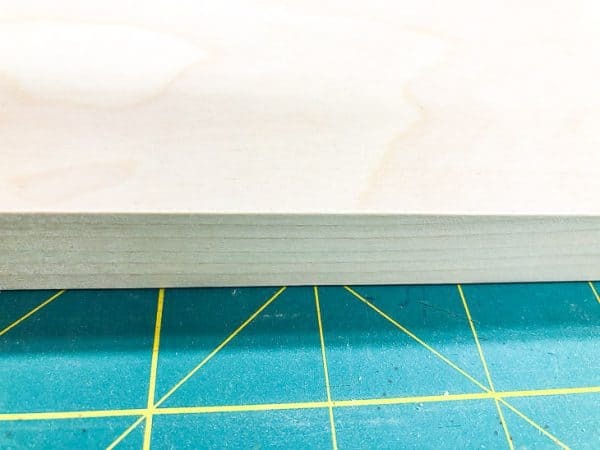 Plywood edges aren’t the prettiest thing to look at, and can make a woodworking project scream “homemade.” There are a few different ways to hide plywood edges, but my favorite is edge banding. 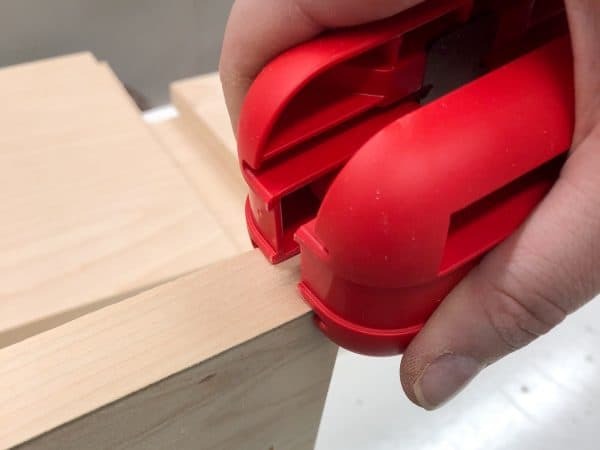 This simple finishing technique makes clean edges that give your project a professional look. This post contains affiliate links for your convenience. Purchases made through these links may earn me a small commission at no additional cost to you. I typically prefer solid wood for my projects, but sometimes plywood is necessary. 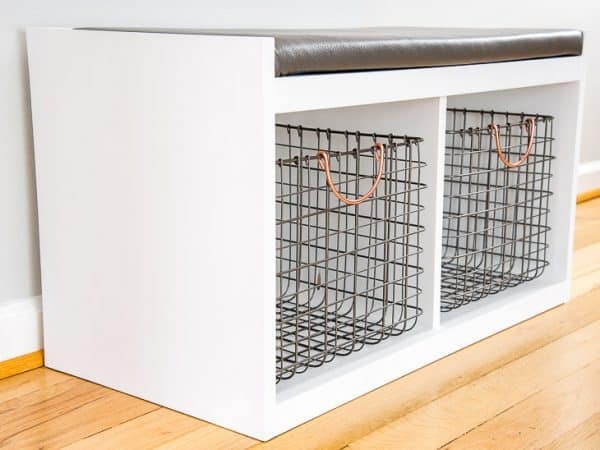 Things like my kitchen pantry cabinet or this DIY entryway bench just couldn’t be made with dimensional lumber. You could use wood filler to hide the exposed plywood edges, but it makes a huge mess and takes hours to dry and sand. Solid wood nosing takes even longer, and who has time for that! Edge banding is a quick and easy process that takes just a few minutes per side. And because it’s made from real wood, you can even stain it! I usually buy 3/4″ birch plywood, so I stock up on this one. If you’re planning to paint your project white, or you’re using MDF or melamine, try this white melamine edge banding. I keep an old, worn out iron in the workshop just for this purpose! The steam function stopped working, which is perfect for edge banding. Trust me, you’ll want this one! I’ve tried a few different versions, and this one is the best by far! 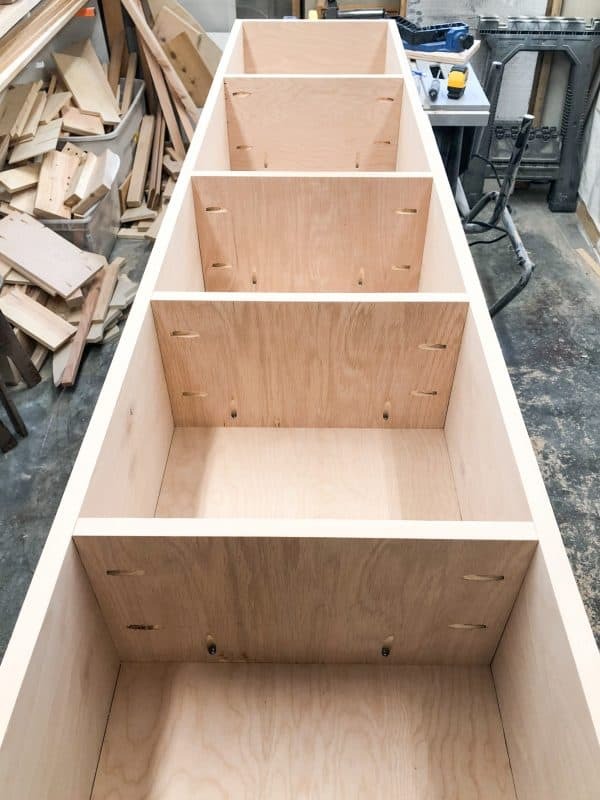 In some cases, you’ll just need to finish the front edge, like on this pantry cabinet. My wood shim barn door was backed with plywood, so I used edge banding on the sides and stained it to match the rest of the door. 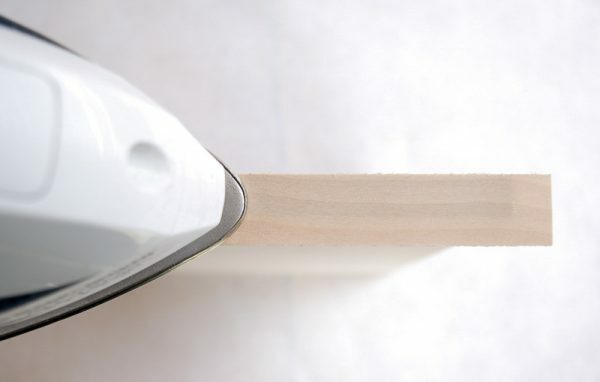 Before applying the edge banding, give the edge to be finished a good sanding. There’s a heat-activated glue on the back of the veneer, and it needs to adhere to a flat surface. 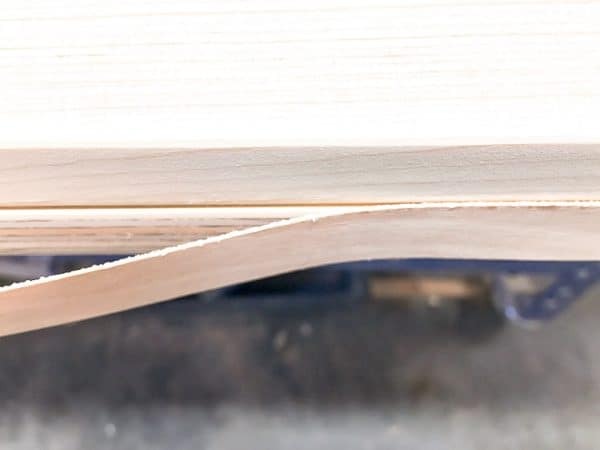 Cut a strip of edge banding slightly longer than the side of your plywood piece. Heat up your iron to the highest setting without steam. Then just press it into place! The banding is slightly wider than the plywood, so you’ll have some wiggle room if it’s not perfectly straight. If your edge banding was tightly coiled in the packaging, it may spring back a bit when it’s applied. Use a scrap piece of wood to apply pressure to the heated section as it cools. 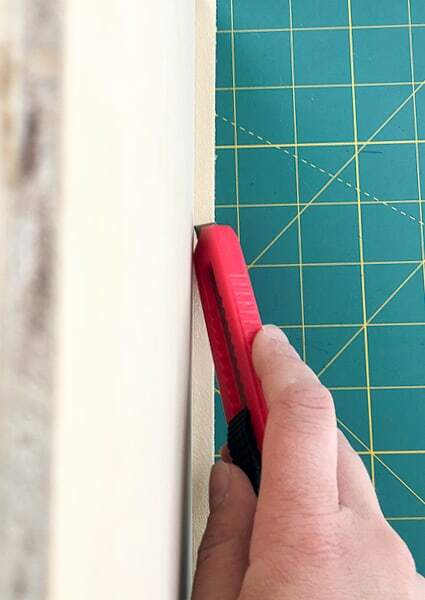 When the edge banding has cooled, trim the ends with a utility knife. I use a cutting mat underneath so I don’t mark up my workbench. 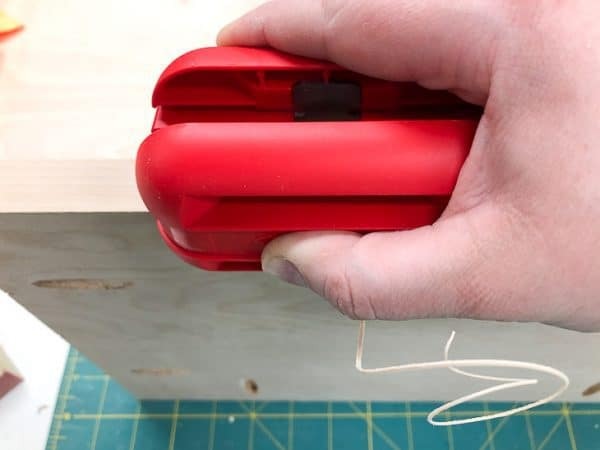 You can also try to trim the long edges with a utility knife, but it doesn’t always come out straight. Once the blade starts following the grain of the veneer, it’s hard to get it back on track! I was never satisfied with the finished look when using this method. 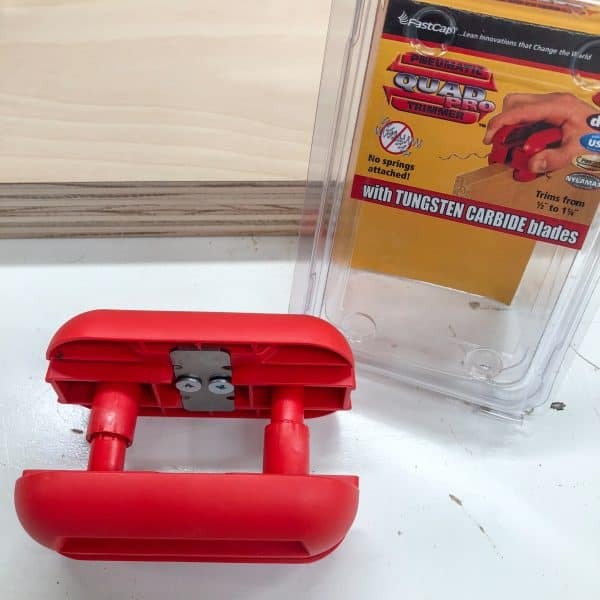 There are a few different edge banding trimmer tools on the market, but this one is my favorite by far. It cuts both sides in one pass, and comes out perfect every time! If you’re going to build with a lot of plywood, I highly recommend investing in one. 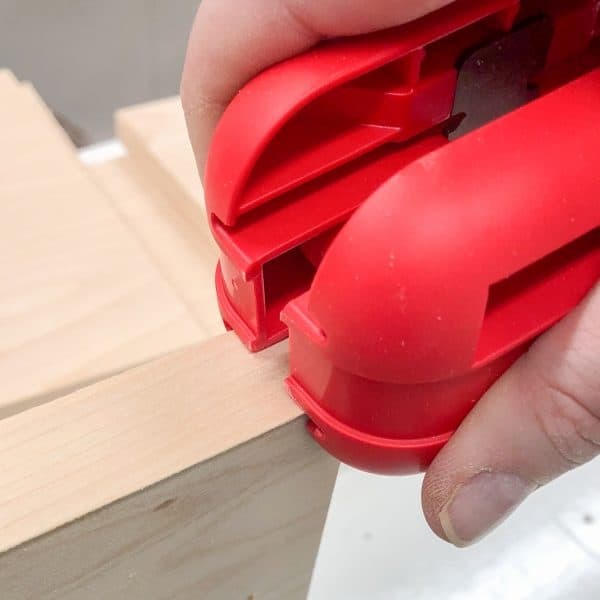 Align the trimmer’s grooves with the edge banding edges. It should start before the blades in the trimmer. Squeeze the trimmer on both sides of the plywood, and run the blade across. I love that little curl of veneer that comes off! Do a quick pass over the corners with sandpaper or this nifty edge sander. This will blend the banding with the plywood and prevent the sides from separating. Check to make sure all the edge banding adhered properly. If it’s lifting up anywhere, just hit it with the iron again. Now the plywood looks like solid wood! Edge banding is real wood, so it takes stain just like the rest of your plywood piece. Just be sure to sand down any glue that might have worked its way out from underneath before you stain. I hope this guide helps you create a more professional finish in your plywood projects! If you would like to keep up to date with my latest posts about DIY projects, woodworking and more, you can follow me on Facebook, Pinterest, or Instagram. You can also sign up for my email list below and get the latest post delivered to your inbox, plus exclusive access to my woodworking plans library! I like that edge band trimmer. I usually use a utility knife too and you’re right, it can follow the grain and not go straight. 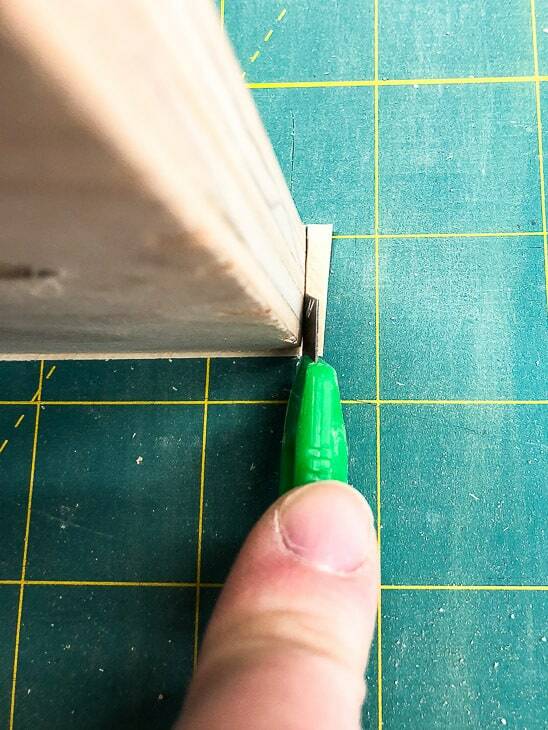 Most of the time we just use 1/8 inch wood strips on our plywood edges. But I’m going to buy that tool and see if I like banding better. Thanks! I absolutely love this tutorial. I’ve had to attach thin molding in our laundry room makeover and this method is so much better. Thanks so much for sharing at Happiness is Homemade. I’ve Pinned it too. What a great how to post! Thanks for sharing with SYC.